After the collapse of soviet union and the emergence of 15 independent Republics in 1991 in the result of Afghan Mujahedeen armed liberation war against Russian invasion, Chernobyl nuclear power plant accident, Gorbachev reforms, or glasnost and perestroika, the independent Republics of central Asia become more distinctive in the region and world strategic policies as economic Agenda. The current war in Afghanistan and bloody view and pains of Afghan society are related to economic competition in the region whose roots are exist in the context of world and regional policies. The central Asia countries were emerged as distinctive and important countries in the region of central Asia after the end of cold war between west and east and the collapse of the Soviet Union as well; this was the time whose security paradigm related global and regional politics changed. If our goal is peaceful and secure Afghanistan, it is necessary to know the changeable security paradigm on the base of changeable economic relations in the region and in the world as well. Therefore it is pivotal to concentrate on Pakistan, India, China, and Iran in regard with Gawadar and Chabahar strategic Ports. As it is clear and obvious that after the end of cold war between west and east security paradigms changed, this was the time that the geopolitical and geostrategic importance of central Asia countries finds decisive place in the politics of Pakistan as well. Pakistan’s first steps and initial efforts led to failure to implement its foreign policy towards central Asia countries during Mujahidin era, after the collapse of communist regime in Afghanistan in 1992 because the authorities and politicians of Mujahedin under the rule of President Burhanuddin Rabbani who had key positions that had different views of regional and global politics which were in contrast to the political views of Pakistan Leaders. It is difficult for central Asian countries to ignore Pakistan’s political role in the region because Pakistan is an important regional power on the base of Pakistan’s geopolitics, it means that central Asian countries cannot be away from the effects of Pakistan foreign policy in the region because Pakistan intend to pursue economic goals and objectives in the region through Afghanistan towards central Asian countries. According to the facts that are more important in the context of Pakistan foreign policy, Pakistan felt fully justified in implementing its role and its economic agenda in central Asia because Pakistan is anxious about India’s foreign policy towards Afghanistan and central Asian countries achieving economic goals and objectives. It means that central Asian countries have pivotal place in Pakistan’s foreign policy, therefore Pakistan’s efforts has been concentrated on fierce rivalries with India for regional supremacy. Pakistan takes preventative measures against India’s foreign policy especially in the region to prevent India’s foreign policy effectiveness. .
Foreign relations and protocols Unit is an important part of Pakistan foreign policy by which Pakistan tries to pursue its political and economic goals in the world as well as in the region. Preventative and pursuance measures are in balanced state in Pakistan foreign policy and Pakistan relations with china on the bases of preventative and pursuance measures are plausible for Pakistan’s policy makers. It is obvious that Pakistani military has major role in shaping and guiding the foreign policy of Pakistan and this is undeniable that Pakistan Army especially ISI has real powers to decide the arrangement of foreign relations than the selective governments and most of the time selective governments are under Army’s commands as well. 1- The first viewpoint acknowledges to unipolar world and this viewpoint believes that harmony of Pakistan’s foreign policy with US foreign policy is necessary because this viewpoint introduces US foreign policy as stabilizer. 2- The 2nd viewpoint has broad and global perspective on global politics and this viewpoint introduces Pakistan’s independent foreign policy, although this viewpoint concentrate on US role in Pakistan foreign policy. This viewpoint recommends wide and extensive relations with other powers in the world like china, japan to benefit of the opportunities of economic developments based on bilateral political understandings and agreements. 3- The third viewpoint has been formed on the base of religious thought that in internal and external affairs concentrate on religious thought extensively. This viewpoint sometimes interprets the two other viewpoints religiously. The hostility towards India is a matter that is a common fact in all three viewpoints. It should be mentioned that adversarial thinking towards India can be seen in third viewpoint more than the other two viewpoints Pakistan’s foreign policy. Pakistan foreign policy based on three viewpoints is variable in the course of times but they realize equally Pakistan’s foreign policy sometimes as a combination in power. If with precise look Pakistan’s foreign policy be studied, it is easy to understand that in the cold war era Pakistan was frontline against the move of Russian communism towards south and warm waters and Pakistan had received too much military and economic aid from US and NATO. It is clear that Pakistan foreign policy shows above illustrated all three viewpoints as combination form under the influence of Pakistan Army during the invasion of Soviet Union in Afghanistan in 1979. The political viewpoint of Pakistan foreign policy that believes in a unipolar world and harmony between US and Pakistan foreign policies as surrender viewpoint to US foreign policy is distinctive during the NATO war against terrorism in Afghanistan. Pakistan became once more important in its position in the US foreign policy to cooperate with NATO in war against terrorism in Afghanistan; it was the time that Drones operations were to allow by Pakistani politicians in North and South Waziristan to destroy the sanctuaries of Al Qaida and Taliban. The second viewpoint leads as designer and supporter Pakistan’s relations with china. In this case is worthy to mention that China-Pakistan economic cooperation based on the strategic port of Gwadar and construction and development of railways and roads to connect Afghanistan and central Asian countries to the strategic port of Gwadar are clear evidences that were designed by the second viewpoint making Pakistan’s foreign policy. The third viewpoint Pakistan’s foreign policy is an advocate for second viewpoint Pakistan’s foreign policy or is supporter of the second viewpoint Pakistan’s foreign policy or takes part more active in favor of second viewpoint to establish broad spectrum relations with China. The third viewpoint Pakistan’s foreign policy faces sometimes with serious problems and difficulties due to disagreement with the two other viewpoints then it recourses to society to rally its strength in order to receive sympathies of religious parties then it raises its political decision as pressure in the context Pakistan’s foreign policy to express its political thought especially by other viewpoints visa-a-visa regional and international politics, it means that it has the abilities to hide under the cover of other two viewpoints during sever confrontation with regional and international politics. This viewpoint is a well-known designer and supporter of Taliban regime in Afghanistan in 1996. The most well-known character of this viewpoint is more adversarial thought than other two viewpoints towards India’s foreign policy. This viewpoint is against broad spectrum relations between Afghanistan and India towards central Asian countries because this viewpoint thinks that cordial and strategic relations between Afghanistan and India would damage Pakistan’s economy and security in the region. Pakistan’s foreign policy focus on central Asia is not only search for economic resources but also is the matter of security for Pakistan. Pakistan lost its strategic importance in the foreign policy of US after Soviet Union red Army withdrawal from Afghanistan and this is the phase which fundamental changes took place in US-Indian foreign policies to establish cordial and strategic relations and convergence policies started between US and India to approach two great democracies of the world. It was the time that Pakistan wanted to achieve substitute security and economic planes by strategic influence in Afghanistan to reach central Asian countries. Pakistan made, formed and supported Taliban to influence strategically in Afghanistan and to reach central Asian countries markets and to transfer energy (Gas, Oil…) as a conduit to Persian Gulf and East through strategic port of Gwadar. India’s current foreign policy in the region and in the world can be studied in the context of strategic convergence policy of US-India that based on alteration of security paradigm after the end of cold war and collapse of Soviet Union. After the end of cold war, India did not join NATO military alliance as well still is the same state of tensions with Pakistan but US and India reached to a strategic convergence gradually to cooperate each other in the context of strategic convergence. This new political development between US and India became the cause of concern for Pakistan because the establishment of strategic relations between US and India reduces geostrategic importance of Pakistan in the foreign policy of US. 1-India recognized china in 1949 and also recognized Taiwan as a part of China’s territory. 2- India had voted negatively in the United Nation convention 1951 to US proposed Act against China that US had claimed China as aggressor. The most turning-point in US-India relations is US Sanctions that US imposed Sanctions on India in the result of 5 nuclear tests after the end of cold war 10998. India carried out and conducted 5 underground nuclear tests in Pokhran in May 1998; India was faced US Sanctions in this regard. By considering these and other cases, the relations between US and India were divergence from each other during the cold war however never went to the boarder of the military maneuver against each other. When the cold war ended, America and India began to evaluate each other on the base of changeable security paradigm. In the result, Bill Clinton US president visited India officially in March 2000. US president’s visit to India traced fundamental changes in relations between US and India, the convergence strategic relations between US and India have been organized on the base of this historical visit after the end of cold war. The US president had signed a joint statement with largest democrat country of India on the world headed by Indian prime minister Atal Behari Vajpayee. In May 2002, US special forces took part in a joint exercises with Indian Army in Agra northern city of India, these exercises represented bilateral trust between US and India, nearly 750 US navy personnel took part in these largest exercises to enhance operational abilities and capacities of the two countries, it was the sign of trust and growing cordial and strategic relations between US and India. (5). The most important and fundamental aspect of US and India cordial and strategic relation is cooperation in the realm of civil nuclear technology. US-India agreement to enhance and cooperate in the realm of civil Indian nuclear technology was named as 123 agreement which have been signed between US and India under which India agreed to separate civil and military facilities from each other and India agreed to cooperate placing all its civil nuclear facilities under the control of International Atomic Energy Agency (IAEA) as well. India signed this agreement in 2007 with US to get rid of energy deficiency, though the leftist groups as opposition were not agree to this civil nuclear agreement between US and India. Gwadar is a coastal fishing village of Pakistan Baluchistan Mikran Coast located at the apex of Arabian Sea and at the mouth of Persian Gulf. The city of Karachi located in approximately 460 km or 290 mile east far from Gwadar. This fishing village is also located 75 km 0r 47 mile east of Pakistan’s border with Iran. The importance of Gwadar is its proximity to the Strait of Hormuz and is situated near strategic opening of Persian Gulf. The distance between Gwadar and the Strait of Hormuz is calculated 624 nautical km to the east of Strait of Hormuz. The Strait of Hormuz is a great conduit to supply oil in large quantities to the world, it is notable as well that Gwadar is situated 380 km (240 mi) km northeast of the nearest point in Oman across the Arabian Sea, it is situated on the eastern bay of a natural hammerhead-shaped Peninsula protruding into the Arabian Sea from the coastline as well. (7) (8) (9). Pakistan identified Gwadar as strategic port many years ago but the basic steps took place by Pakistan and China in 2001 to build and to develop Gwadar port when China decided to be as strategic partner of Pakistan, therefore the foundation of Gwadar Port was laid down by Deputy prime minister of China Wu-bongo in Mach 2002. (10). China’s financial contribution in the construction of the Gwadar Port was calculated 75% which is enormous amount. China financed 198$ million at the first phase of construction of the total cost which is calculated 1.16$ billion. It is worthy to mention that the total cost of the first phase was estimated 250$ million and the first phase construction includes of three multi-purpose ship berths. (11) (12). The second phase of the Gwadar Port project was estimated 600$ million, this phase includes nine multi-purpose ship berths, one modern Air-port, installation of Cameras to watch Commercial ships traffic and the activities of Indian and US Navy as a matter of necessity. Gwadar Port at the proximity of Strait of Hormuz is the cause of economic development and prosperity for Pakistan and China in the first when this strategic Port is connected to Pakistan, China, Afghanistan and central Asia through roads and railways completely. This strategic port will emerge as an important trade hub in the area in future if peace and security are in the region. The second phase includes approach channels and storage terminals in addition of 9 berths which China had planned to develop this strategic Port. Rail and road links facilitate the connection of China’s western province of Xinjiang to the strategic Gwadar Port, the distance is reduced for the connection China to sea Port because China’s eastern ports are 3500km away from Kashghar city located in western China while the distance between Kashghar city and Gwadar Port is 1500km. This short distance from Kashghar city of China to Gwadar Port is very important and effective providing the opportunities to booming economy for China. (14). Gwadar Port has another strategic importance to Pakistan that Gwadar Port is a good and reasonable alternative to Karachi Port during military tensions with India to save Pakistan’s Navy and Commercial ships from military Threats of India. It is obvious that 68% Pakistan’s trade takes place through Karachi Port and 32% through Port Qasem. The vicinity of Karachi Port makes it possible to blockade of Karachi Port by India; there are possibilities of military attacks on Karachi Port by India to devitalize in order to stop people or goods from coming in or out, as in 1971 during Pak-India war, the blockade of Karachi Port took place by India that the economy and trade of Pakistan were faced to serious military threat by Indian Army. (15). Prior to the construction of Gwadar Port Project, the importance of Karachi port was undeniable because this Port was the safe place for Pakistan’s Marine Headquarters as well. With the complete construction and prospering Situation of Gwadar Port, Pakistan wouldn’t be faced military and economic threats by Indian Army as had been occurred in the past in 1971. (16). The operational management of strategic Gwadar Port has been taken over by Chinese company in 18 February 2013 and this taking over of operational management was proclaimed as a part of cooperative efforts of the two countries. Chinese proclaimed that the responsibility of operational management of strategic Gwadar Port has peaceful and economic objectives, China emphasized that there is no harm to any country while prior media had reported the concern of India that the aim of China is to encircle India. With the new such development in strategic Gwadar port, India’s alarm systems and devices warned of a potential danger for encircling India. India’s defense minister Antony said in Bangalore that” it is a matter of concern for us (India).” It means that taking over of Gwadar strategic port operation management to China would affect India’s security. “To a question whether China has increased its activities in the Indian Ocean Region (IOR), the Defense Minister said, China has also participated in IOR in development projects like ports, deep sea mining, ocean research and anti-piracy operations.”(19) (20). US didn’t assert negative reaction that Pakistan and China are cooperating on economic activities in the strategic Port of Gwadar, Pak-China cooperation on Gwadar strategic Port was praised by US diplomat as well, addressing the entrepreneurs at the Startup Cup business competition and it was mentioned as booming opportunities for economic developments and also, “US Consul General Michael Dodman said that US has no issues with tis progress as well he said that his government has no objection to the harbor construction rather he will like to have some firms of his country to invest in the project there” ..
What is certain, it is that Pakistan-Iran’s cooperation in a joint project of energy related Gwadar strategic Port would be opposed by USA, if it takes place Pakistan would be faced US sanctions in this regard. “Of greater likely concern to Washington was another announcement Pakistan made on Wednesday, saying that it was pressing ahead with a joint energy project with Iran that the United States strongly opposes”. (21) (22). Chabahar port is a strategic business port which is situated South East of Iran in Sistan Blochestan province Chah Bahar county of Mikran Coast as a free business Port that announced by Iran authorities officially. Chah Bahar County was declared as a free business and industrial zone officially by Iran government as well, it is the main cause that international trade was increased in Chah Bahar County via Chabahar Port. It is the only one Port that Iran has the possibility and ability to access to the Indian Ocean and warm waters. 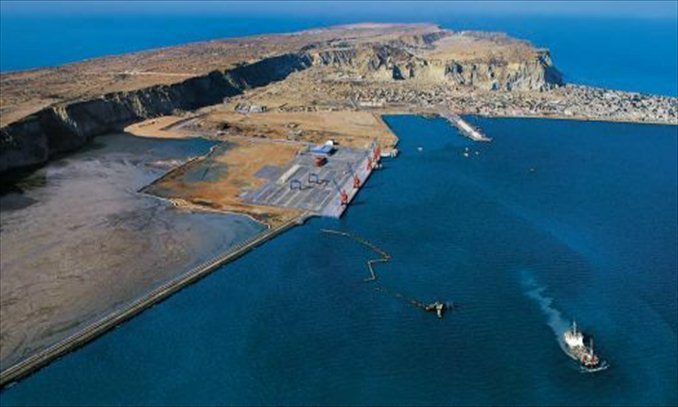 A part of Chabahar strategic Port was constructed 1990 by India with the aim of facilitating to access in Afghanistan and central Asia and with the aim of encircling Pakistan. It means that the strategy of Chabahar Port has been planned as a competitor strategy of strategic Gwadar port. Chabahar Port on the Mikran Coast is closest access to the Indian Ocean, Oman Sea and Persian Gulf, from ancient times, Chabahar Port has been known as trade hub shipping location. The master plan of Chabahar Port was presented in i973 but the regime was changed in Iran that this change affected the master plan of Chabahar Port to fulfill, therefore the master plan of Chabahar Port was postponed on the base of some political and economic reasons but a part of its construction included quick berth and breakwater were started and constructed. (23) (24). The strategic importance of Chabahar Port is more obvious that via this strategic Port turn import and export planning of Iran in to reality. 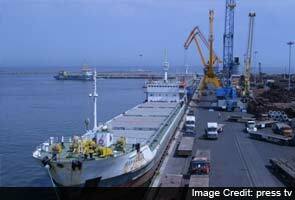 India is now a regional powerful partner of Iran based on Chabahar strategic port economic activities. India’s partnership with Iran based on Chabahar Port strategy is justified to influence South and central Asia via Afghanistan with the aim to establish cordial relation. Some political analysts have believed that India’s partnership based on Chabahar Port strategy is risk-taking move because it could damages US-India relations. The circumstances of central Asia, Sino-Pak and India-Iran economic objectives towards central Asia reaching energy markets show clear competition among regional economic powers in the region. It is clear that India- Iran relations has great role to reduce the effects of sanctions on Iran that Iran suffer from sanctions imposed by US. It has been mentioned that trade exchange between India and Iran reached 14$ milliard during 2010. The strategic Port of Gwadar and Sino-Pak relations are major obstacles for India to achieving its economic objectives in Afghanistan and central Asia therefore India-Iran relations based on Chabahar strategic Port removes obstacles from the way of India to reach central Asia markets via Afghanistan. The attractiveness of Afghanistan and central Asia is outstanding because they have rich resources that are possibilities to turn economic opportunities in to reality, it is worthy to mention that 1-3 trillion Dollar underground resources are estimated in Afghanistan. It is based on these motives, attractions and geo-economics realities in the region that the connection of Hajigak Mine of high-rich Iron to Chabahar strategic Port was planned by Afg-India governments and this connection is a 600km long railway network.(25). The development and expansion of Chabahar strategic Port, India-Iran bilateral economic cooperation, the effects of India-Iran relations on Sino-Pak relations and Gwadar strategic Port, geo strategic and geo-economics realities of south Asia, Asia pacific and central Asia are all matters and issues that Pakistan consider watch these matters and issues closely. Pakistan and China are worry and anxious about the development and expansion of Chabahar strategic Port in the result of India-Iran relations based on Chabahar strategic Port because Chabahar strategic Port would affect Gwader Strategic Port negatively connecting separate parts of the region to Gwadar strategic Port. The importance, development and expansion of Chabahar strategic Port and India-Iran relation are alarms of warning for Pakistan especially that Pakistan is in anxiety conditions in this regard what Pakistan has received from information through Pakistan’s embassy in Dushanbe of Tajikistan. It has been told that Pakistan thinks which the role of Chabahar strategic Port is to monopolies trade from Tajikistan, Kyrgyzstan and Kazakhstan intending towards Persian Gulf and East. There are some documents about regional economic developments related Chabahar strategic Port that foreign office of Pakistan received those documents from Pakistan embassy in Dushanbe Capital of Tajikistan . The trade activities of Tajikistan, Kyrgyzstan and Kazakhstan intending for Persian Gulf and East via Chabahar strategic Port have been explained in those dispatched documents from Pakistan embassy in Dushanbe to Pakistan foreign office. The construction of third phase of Iran-Afghanistan Transit Highway had also begun near Zabul border post on July 14, 2003. The phase included construction of 15km of highway, to connect Zabul’s Zahak district to the border post and onwards to the Silk Bridge that had been planned to construct over Parian river. The river serves as the border between Iran and Afghanistan. The estimated Cost of the project’s third phase was 43 billion Iranian riyals and it had said likely the complete construction by March 2004. The highway’s earlier phases, joining Chabahar to Zabul and Zahak, have already been completed. The Silk Bridge over Parian river serves in facilitating the export of goods from Iran to Afghanistan and onwards to the central Asia. The documents also reveal that Iran, Afghanistan and Tajikistan had recently inked a trilateral agreement for the Anzob Tunnel project. Tehran has also approved a $10 million grant for Tajikistan to complete the project. The tunnel would provide safe and uninterrupted road access to Chabahar port from Tajikistan. Those documents reveal 21$ million credit to Tajikistan to develop its transportations and road sectors. According to those dispatched documents the bridge on the river of Panj at Bandar Sher Khan on the Tajik- Afghan border had been known the main obstacle in the completion of highway. India announced 100$ million to take part with Iran in the construction of Chabahar strategic Port despite Washington frowning upon India’s relations with Iran. India’s construction plan of Chabahar strategic Port include railway network to connect highway at Afghanistan-Iran border and to build a fertilizer plant near the strategically important port in south-east Iran. (28) (29). 1- India and Pakistan rivalry are trying to influence regional politics and to fulfill their economic objectives in the region. 2- As it is seen that US-Pak relations has shown changes in its history sometimes, it means that Pakistan’s geopolitics position is sometimes more important in foreign policy of US as well sometimes US-Pak relations go towards coldness that it depends on changeable security paradigms and changeable regional geopolitics. 3- After the end of cold war, U.S and India have established continuously convergence political relations. 4- Relations between India-Iran as an economic phenomenon has been formed more developed related Chabahar strategic Port despite Washington frowning upon India’s relations with Iran. 5-China-Pak economic and strategic cooperation related Gwadar strategic Port is a joint economic strategy between China and Pakistan to construct roads, railway network intending to connect central Asia, Afghanistan west of China to Gwadar strategic Port towards Persian Gulf and East facilitating exports and imports in two directions. The main discussion related economic strategies of economic powers in the region is that is the evaluation and assessment China’s presence at the closest point to Strait of Hormuz as more important issue because China is a global economic power whose policies and power affect global and regional powers. Some strategists believe that the role of China would be peaceful and stabilizer in the Asia pacific and South Asia, it means that there is no signs of China aggression in the region. Some observers and strategists believe that Chinese leaders would evaluate and assess global situations. If global circumstances are favorable to China, Chinese leaders would choose aggressive foreign policy. (30). The relations of US-India and US-Pakistan are different kinds or they are not the same, US-India relations is based on convergence of Democracies of the two nations on the world and US-Pakistan relation is based on regional geo-politics in US foreign policy and Pakistan’s role is a secondary role, despite ups and downs and sometimes temporary tensions in US relations with Pakistan , Pakistan has valued US as a close friend. Pakistan justifies tensions in US-Pakistan relations always and uses skillful diplomatic languages to remove tensions. It is very obvious, in the case of India-Iran relations related Chabahar Strategic Port, India was faced negligible frowning of US. India knows bilateral economic relations with Iran its legitimate right and decided to cooperate with Iran on the base of Chabahar strategic Port’s strategies. It is also noticeable that India voted in accordance with the West countries against Iran in the International Atomic Energy Agency as well it is known that India accepted US missile defense system in Poland as a defense plan against possible missile attacks by Iran and North Korea. (31) (32) (33). When Pakistan wanted to handle with Iran to cover its energy needs, Pakistan was faced sanctions warning by US. Iran is under the pressures of US and west Sanctions and these sanctions have negative effects on Iran economy; therefore Iran must solve its problems with US and West on the base of nuclear Non-proliferation. Religious clergies are rolling in Iran on the base of radical Shiite school; therefore Sunni religious schools and other political thoughts are under continuous pressures of clergy regime, they were imprisoned and still are imprisoned and some of them were executed and these are bad occurrences that everyday take place by clergy regime in Iran and young generations feel their selves imprisoned in their own country. The price of freedom is prison or dead in Iran. The lack of freedom in Iran is the main cause of revolt against Iran regime, as it was seen in Sistan-Blochestan that some armed Sunni organizations have involved in armed activities against Iran’s Shiite regime. This entry was posted in Politics by Abdul Basir Sohaib Siddiqi. Bookmark the permalink.